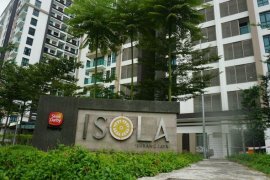 Isola Condo, SS16, Subang Jaya. CondoMINIUM GARDENVILLE TOWNVILLA, SELAYANG **FREE GIFT EXCLUSIVE. D'Ambiance 1room Apartment for Sale. Ameera Residence - Mutiara Height Kajang. Sky Loft Premium Suites, Taman Bukit Indah, Iskandar Puteri (Nusajaya). Sky Loft Premium Suites @ Bukit Indah. Aster Court (DNP Plaza) 3room Fully Furnished Apartment for Sale. MAGNA VILLE Condo SELAYANG **FREE GIFT EXCLUSIVE. D'Ambience 1room Fully Furnished Apartment for Sale. (Top Investment) ROI Up To 10-20%, Monthly Profit RM2000. Sky Loaf Premiun Suites @Taman Bukit Indah ( Nusajaya ). Gurney Heights Condo, 4 bedroom 2 bathroom. The Grand Soho High Floor For Sale. [930sf]Bukit Ara Perdana Apartment#Airtrollis#Labu #Seremban. 【Buy 1 Get 2 Units Studio】Next to University Guarantee Tenant. Extremely well-appointed top floor apartment with sea views. 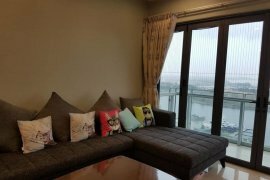 D'ambience 3room Serviced Residences for Sale. (WTS) BEST PRICE NOW!FF + RENO ZENITH RESIDENCE, KELANA JAYA. FREEHOLD New Project Next to Mont Kiara Area. Hello, Please contact me, I am interested in condos for Sale in Malaysia. Best Regards.